NEUBIAS 2020 is a new series of annual international Conference centered on BioImage Analysis, which includes 3 parallel events and a common Symposium/Showcase. It brings together Life-Scientists, BioImage Analysts, Image Analysis Software developers and other Core Facilities Specialists (e.g. Microscopists) to bridge the gap between BioImage Analysis developments and know-how, and their use in Life Science. It aims to be a forum to exchange the newest findings, applications and cutting-edge developments in BioImage Analysis, machine learning, data mining and storage. 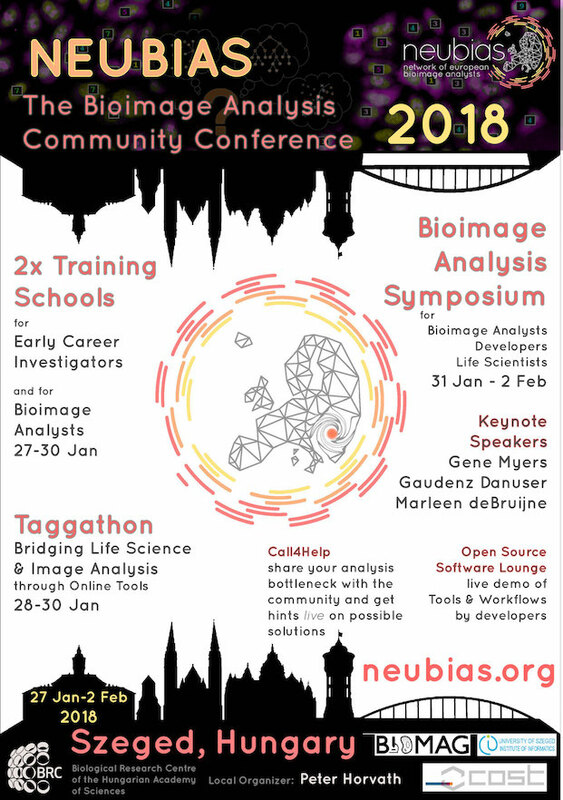 NEUBIAS 2020 is the major annual gathering of NEUBIAS, a COST Action gathering 34 European countries and International Partner Countries, and aims to bring together ~250 scientists from the BioImage Analysis Community. NEUBIAS2020 reflects the need to foster the networking between image analysis developments and their end-users. The interest and need for image processing in life sciences are strongly growing, a reality that was reflected in the success of earlier related events like the EUBIAS in Barcelona in October 2013 (eubias2013.irbbarcelona.org/) and Paris in January 2015 (eubias.org/eubias2015), from where NEUBIAS project has stemmed and matured. 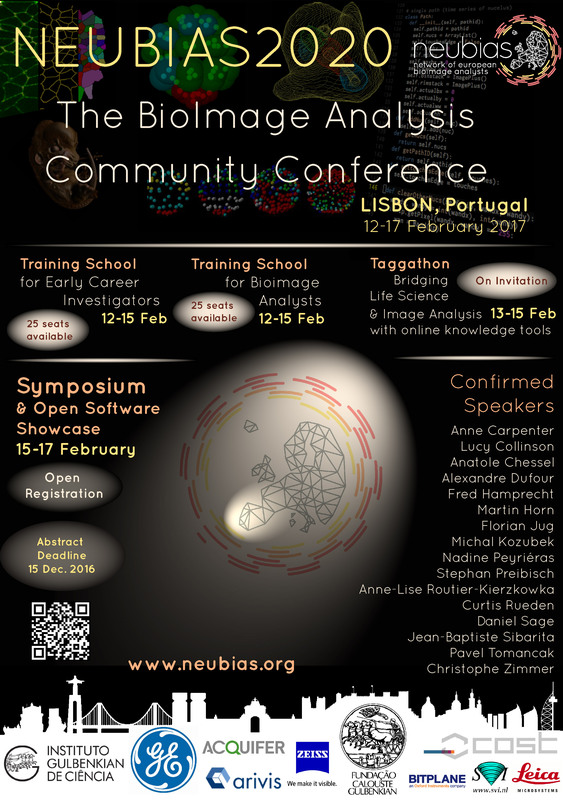 The first NEUBIAS Conference was held on February 12-17th, 2017 in Portugal hosted by the Instituto Gulbenkian de Ciência and Fundação Calouste Gulbenkian. The second NEUBIAS Conference will be organized and hosted by Dr. Peter Horvath, Principal Investigator at the Biological Research Center (BRC) of the Hungarian Academy of Science, Szeged. 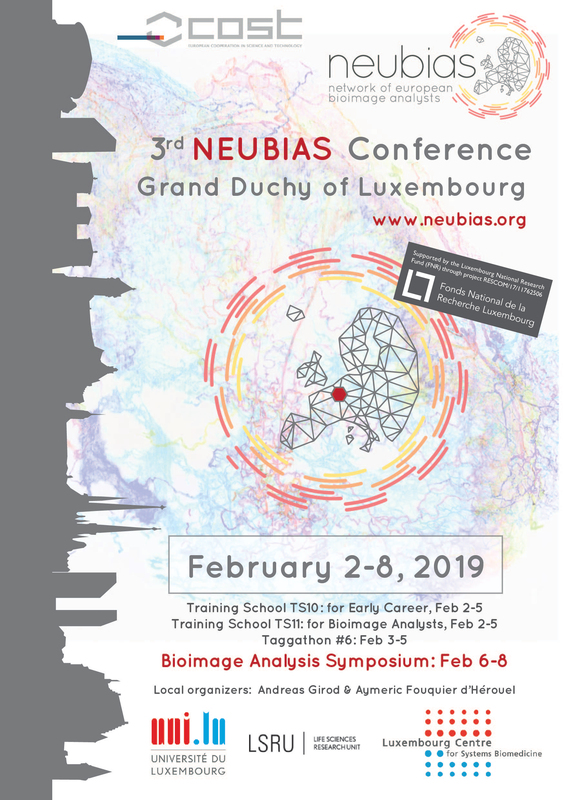 The third NEUBIAS Conference will be held on February 2-8, 2019 in Luxembourg hosted by the Life Science Research Unit and the Luxembourg Centre for Systems Biomedicine from the University of Luxembourg.